loving. living. small. | live small with style: Blog Out Loud TV launch!! Hello loving. living. small. readers! 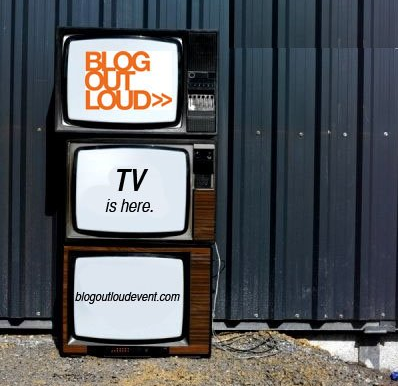 I am still on my small break but wanted to share the launch of Blog Out Loud TV! Click here to check out 3 mini-webisodes from the first Blog Out Loud event a few weeks ago that covers common themes that curious and new bloggers often have. We'll be adding more videos in the next 2 weeks so check back in for blogging inspiration. Also, definitely check out the Blog Out Loud blog for some great resources including a thoughtful and informative interview with blogging guru, Melanie Nelson of Blogging Basics 101. Hope you are having a *fabulous* weekend and see you all next! 1 Response to "Blog Out Loud TV launch!!"